Today's customers rely on their mobile phones for information, entertainment, shopping and much more. It has become a life companion more or less. So, now mobile can be used as a lever by businesses/brands which can be pulled to influence customer loyalty across brand engagement, loyalty marketing, customer experience, and structured loyalty programs. Enabling a mobile loyalty strategy literally puts your brand and loyalty program into the hands of your best customers and creates the potential for more interactions. So mobile isn't just a “nice-to-have” anymore, it has become critical in meeting customer expectations and earning their loyalty. Businesses who view mobile as just another communication channel misses a massive opportunity to reach, engage, and enhance experiences for their loyal customers. If mobile not already on your priority list, it’s time to put it at the top. One result of this mobile mind shift is that consumers expect that they can get what they want, when and where they want it. They have increased expectations of how and when businesses serve and retain them. We see a lot of businesses creating mobile versions of existing loyalty program features. For example, allowing customers to view their points balances on a mobile. Richer opportunities lay in creating an integrated mobile experience that engages loyal customers at each stage of the customer life cycle, whether or not they are interacting with the program directly. Have a mobile application of their loyalty program: And see increase in mobile app sessions and a double digit growth in program registrations. Loyal customers play a critical role in the success or failure of a business's mobile strategy—after all, they are likely the most active and engaged mobile customers. Make a process for identifying and capitalizing their mobile loyalty moments: There are dozens of potential moments where brands can engage their loyal customers, and the moments that matter most will vary based on unique business goals and customer behaviors. Businesses will need to identify situations and scenarios where they can serve a customer on a mobile device, design the engagement to win in that moment, engineer all of the systems, people, and processes required for execution, and finally analyze and examine the performance. Using a systematic approach allows businesses to perform in an environment where customer expectations are rapidly evolving. Increase mobile engagement by merging customer insights: As customers interact on mobile, they generate all kinds of behavioral and environmental data, such as choices, timing, temperature, weather, and location. To fully know the improvement and situation mobile brings to customer relationships, businesses must push beyond personalization based on static insight. This starts with instrumenting mobile apps by collecting data that is relevant to understanding the customer and can be linked back to non-mobile customer insights. Next, businesses can use that base of insights to target segments with personalized experiences and content. Then influence real-time behavioral and contextual insights to increase customer engagement with mobile moments. 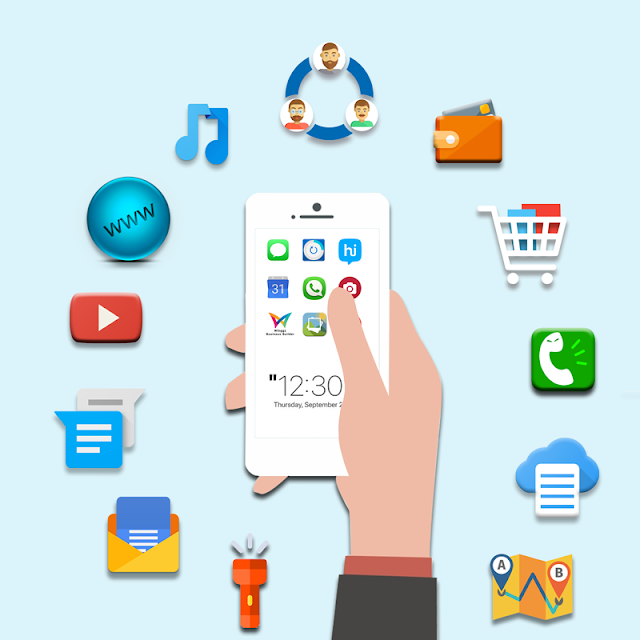 To learn how Winggz Business Builder can help your business/brand build your mobile loyalty strategy, contact us here or download Winggz Business Builder app from https://goo.gl/v3Gf11 and start your own loyalty program.